Helen Ann Scadden, 78, was reunited with her mother and granddaughter, Helen on Thursday, April 12, 2018 at McKay-Dee Hospital. She was born February 21, 1940 in Farr West, Utah to Daniel James and Helen Lindstrom Doyle. On December 20, 1956, Helen married James Hart Scadden, Sr. in Evanston, Wyoming. The marriage was sealed for Time and All Eternity in the Ogden LDS Temple on July 1, 2000. She was a faithful member of The Church of Jesus Christ of Latter-day Saints. Helen was an amazing person; giving of herself to all. She loved her grandchildren and great-grandchildren. 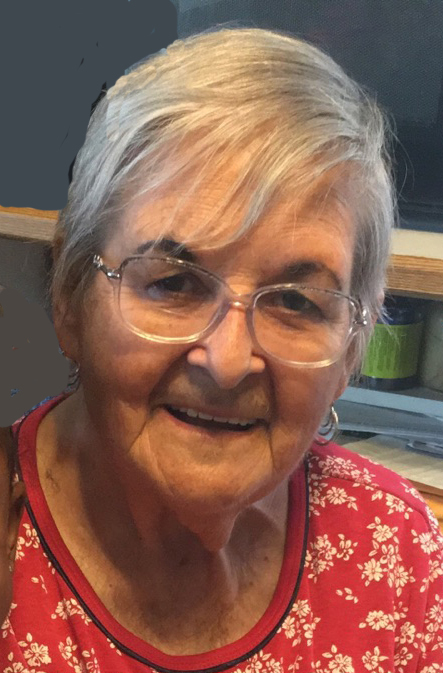 She loved spending time with her husband and family, traveling in their motorhome. She is survived by her husband, James; five children, James, Jr. (Diann), Clinton; Daniel (Wendy), West Haven; David (Wanda) , Kinnear, WY; Robb (Susan), West Valley; Chris, South Ogden; special daughter-in-law, Deanna; 15 grandchildren, 19 great-grandchildren; and one sister, Judy Crase, Ogden. She was preceded in death by her parents, one granddaughter Helen, one grandson Christopher one brother and two sisters. The family would like to express their sincere appreciation to Dr. Jerry John for his kindness and medical care of Helen. Funeral services will be held at 2:00 p.m. on Monday, April 16, 2018 at Lindquist’s Roy Mortuary, 3333 West 5600 South. The family will meet with friends Sunday, April 15th from 6 to 8 p.m. and Monday from 12:30 to 1:30 p.m. at the mortuary. Interment, Lindquist’s Washington Heights Memorial Park, 4500 Washington Blvd. In lieu of flowers, please donate to Primary Children’s Hospital.